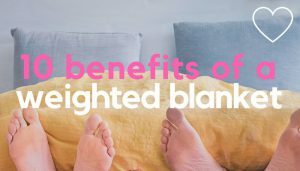 Weighted Blankets For Restless Leg Syndrome: Do They Work? Did you know restless leg syndrome is thought to affect as many as 1 in 10 people in the US? 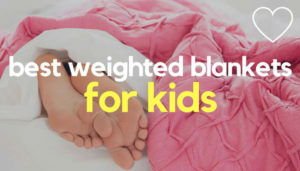 If you or your child are one of them, you’re probably no stranger to symptoms such as an irresistible urge to move your legs, crawling feelings in the feet, calves and thighs, involuntary leg jerking and disturbed sleep. Frustratingly; there’s often no identifiable cause for restless leg syndrome, which can make it difficult to treat – however, a growing number of people are looking to weighted blankets for restless leg syndrome relief, as they may help ease some of the symptoms. Common symptoms include an overwhelming urge to move your legs, often with an uncomfortable tingling, burning, itching or throbbing sensation. This can sometimes be accompanied by a painful cramping in the legs, particularly in the calves. According to the NHS more than 80% of people with restless legs syndrome also experience involuntary jerking of the legs (and sometimes arms) – something known as periodic limb movements in sleep (PLMS). Restless leg syndrome can also often be worse during the evening or night and affects woman more than men. Although often associated with adults, restless leg syndrome can also occur in children. According to RLS-UK, studies suggest it may often be a genetically inherited condition. It can also result in symptoms similar to those diagnosed with ADHD. Like adults, children with restless leg syndrome often seek relief by moving their legs, be it by fidgeting, stretching, running, rocking or shifting position in bed. This can sometimes be interpreted as low attention or hyperactivity, especially when child reaches school age. Diagnosis in kids may also be more difficult, since children may find it hard to describe symptoms. Whilst restless leg syndrome can sometimes be related to an underlying heath condition, such as iron deficiency or kidney failure, there’s often no obvious cause. Where the cause is unknown, restless leg symptoms may worsen over time and lead to sleeping problems, anxiety, poor concentration and tiredness. Evidence does suggest, however, that restless leg syndrome may be related to how the body handles dopamine; a chemical involved in muscle movement. In cases of restless leg syndrome, dopamine levels are often low. Dopamine levels also naturally fall towards the end of the day, which may account for symptoms being worse at night. This is where a weighted blanket may help. Do Weighted Blankets Work For Restless Leg Syndrome? Heavier than regular blankets, weighted blankets contain micro glass beads or plastic poly pellets sewn into ‘pockets’ inside the blanket. This extra weight applies a gentle deep touch stimulation on the user, which research suggests may help the body to release ‘feel good’ chemicals like dopamine and serotonin, hormones linked with relaxation and sleep. Dopamine also plays a key part in movement and muscle control. This deep touch stimulation may help people with restless leg syndrome both relieve their restless legs and get better quality sleep. In fact, this lady found weighted blankets brought her almost immediate relief. “I have been suffering with restless leg syndrome (RLS) for over 3 years. …when I placed the blanket on my leg, within minutes, I had relief. 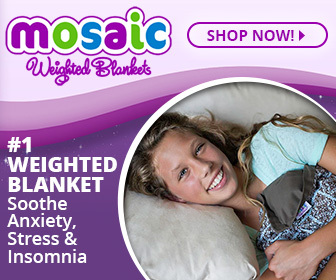 Now I own a small weighted blanket and it does the trick every time.” (source). 10% of the ideal body weight for adults. 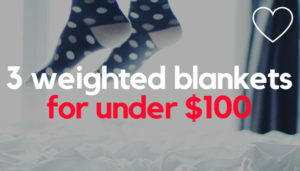 10% of the body weight, plus 1 or 2 pounds for children. 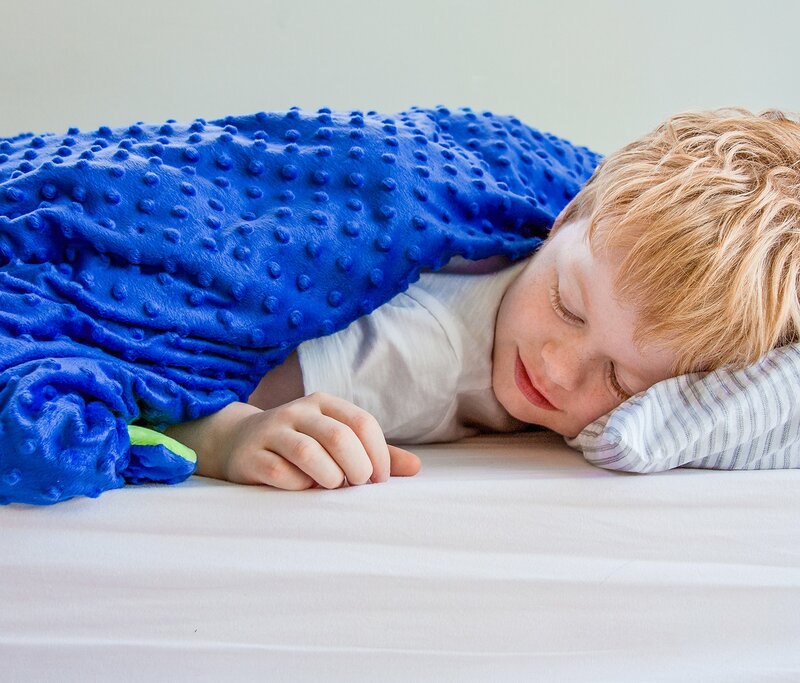 Quility and YnM weighted blankets are both well rated blankets, which come in adult and children’s sizes. Harkla is another popular option for kids. Keep in mind as well, some people with restless legs syndrome don’t like having their whole body covered. 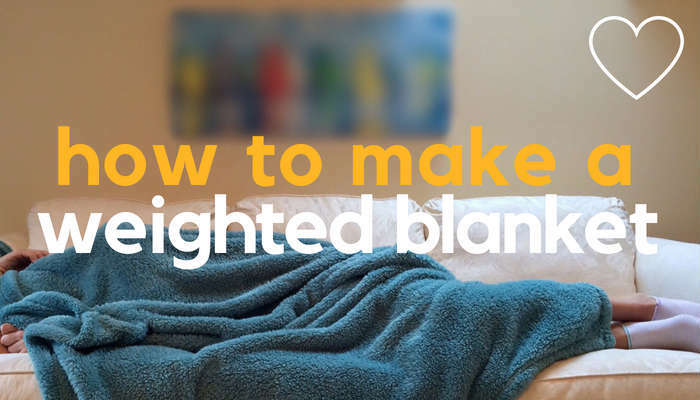 If this is you, you might want to consider a smaller blanket, so you can just use the blanket on your legs. Or for children, a weighted lap blanket, such as this one from Harkla may be sufficient. 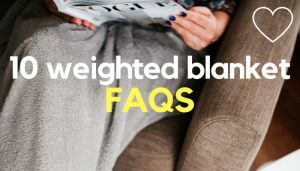 Do Weighted Blankets Always Help With Restless Legs? Many people with restless leg syndrome can’t handle added pressure on their legs and prefer to keep their legs free. So whether a weighted blanket works for you (or not) will always be a personal thing. Restless leg syndrome is also a complex condition and whilst neurologists believe it may be linked to dopamine, this is by no means the only factor involved. 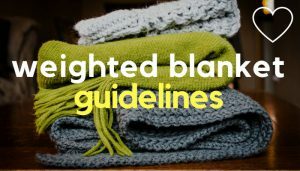 If you’re undecided about a weighted blanket, consider borrowing one first or look for a blanket with a 30 day many back guarantee. 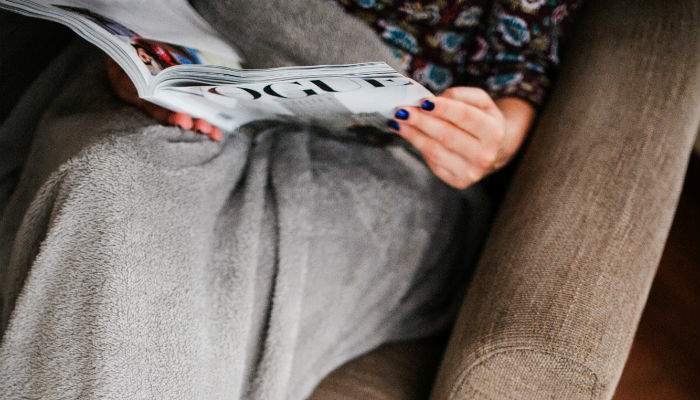 Although there’s currently no known cure for restless leg syndrome, there are a number of lifestyle changes that may make it easier to manage. These include sticking to a regular sleep routine, avoiding stimulants such as caffeine and trying out leg stretching exercises and relaxation techniques. Lifestyle changes related to restless leg syndrome should always be made in consultation with a doctor, but you can find some non medical treatment options for restless leg syndrome on the RLS-UK website here. 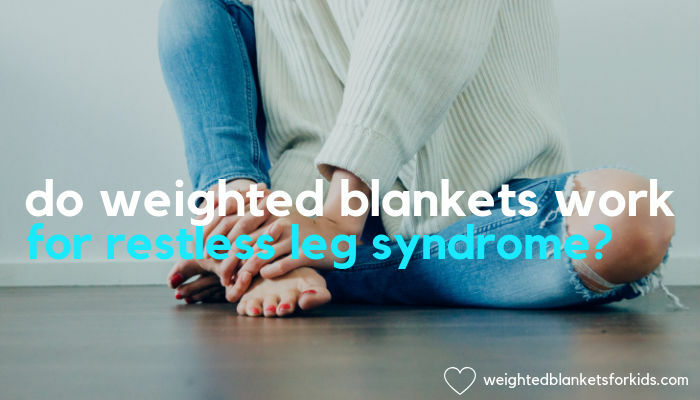 You should always seek professional medical advice when diagnosing and treating restless leg syndrome – however, a weighted blanket could be natural way to ease some of the frustrating sensations of restless legs, as well as a route to a sounder night’s sleep. So as long as you can handle a little extra pressure on your legs, a weighted blanket for restless leg syndrome may well be with a try.